Pavlova seems to be a pretty popular desert here in Britain, however I usually only see people make it with blueberries or raspberries. 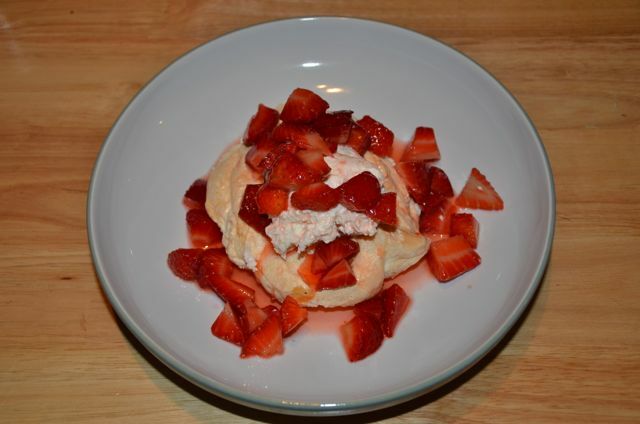 I'm not a huge fan of either - I'm more of a strawberry girl, so I set out to make strawberry pavlovas. They were positively delicious - one of my better deserts I think and super easy to make! Get out your mixing bowls - you're going to want to make this one right away! There are three parts to this recipe, each of them being relatively easy: the meringues, the vanilla cream and the strawberries. 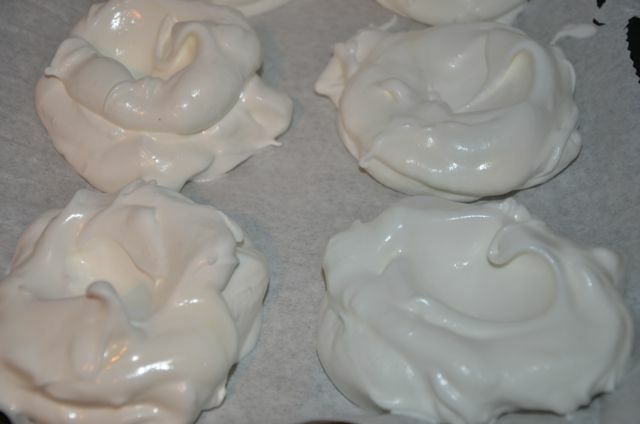 Make the meringues first. They aren't hard to do at all, but they take the most time. If you're planning to serve this as a desert, I'd suggest making them before dinner since they take over an hour to cook and an hour to cool. You could even make them in the morning - they'll keep. 1. Preheat the oven to 180 degrees (350 F). 3. In a small bowl, stir the cornflour and sugar together. 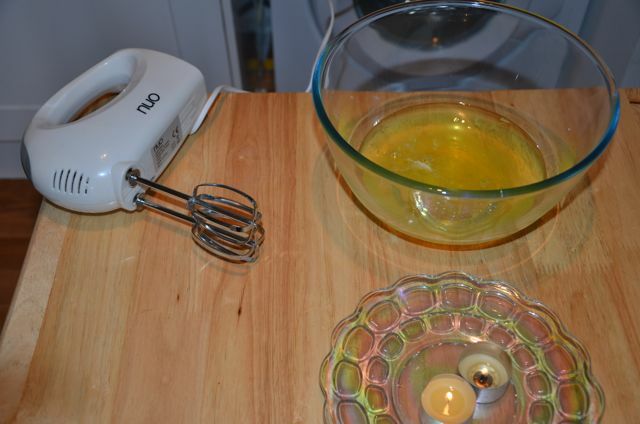 Add to the egg whites in thirds while whipping with your handheld mixer. Add the vanilla in last and beat until stiff peaks form (pictured below). 4. Spoon onto a cookie sheet lined with parchment paper. 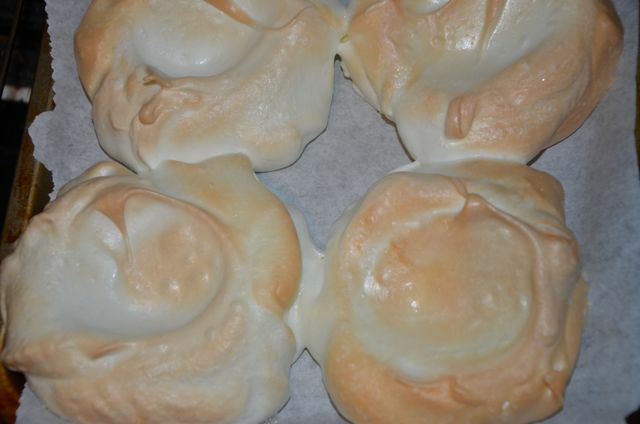 You should have between 6 & 8 meringues. 5. 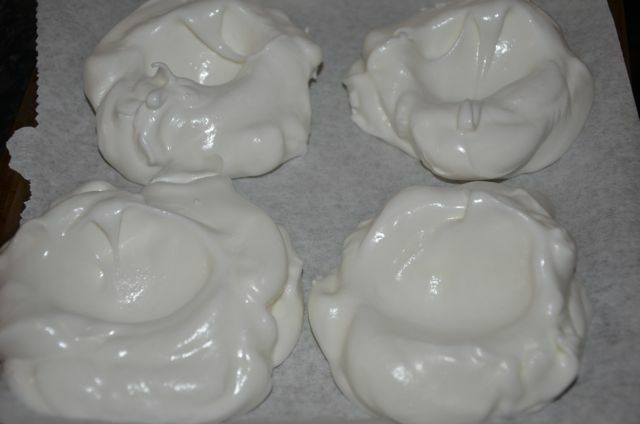 Make a large indention in the meringues with a spoon. 6. Bake for 10 to 15 minutes until they are as golden brown as you'd like. Then reduce the heat to 110 degrees C (200 F) and bake for an additional hour. 7. 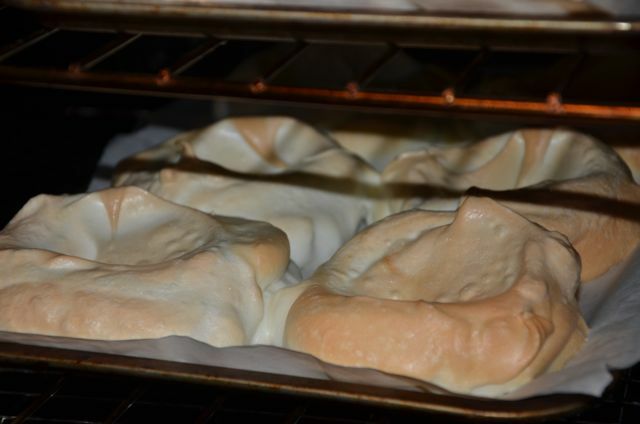 After an hour, turn off the heat in the oven and cool meringues in the oven with the door slightly opened. 1. 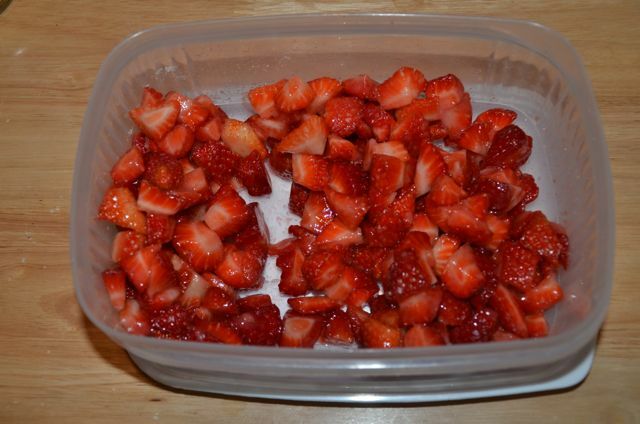 Cut the tops of strawberries and slice/chop/dice them however you prefer into a tupperware container. They don't need to be tidy or all the same, just cut up. 1. 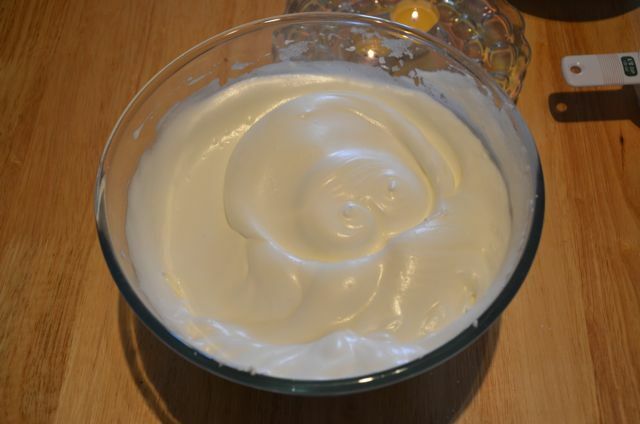 Pour cream into a large mixing bowl. Add sugar to taste - about 2 tablespoons full. 3. 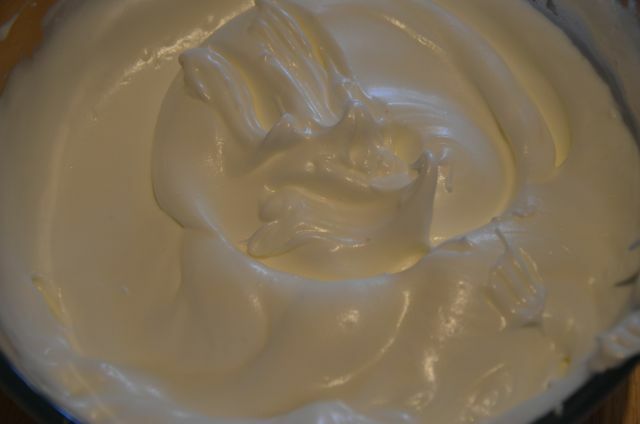 Beat with a hand mixer until cream reaches desired whipped consistency. 4. Store in the refrigerator until ready to serve. Grab a meringue, fill the indention with vanilla cream and scoop strawberries generously on top, being sure to also pour on some of that lovely glaze and enjoy! Because I don't like blueberries unless their in muffins, I've never had a Pavlova before I made this, but it turned out beautifully. It seems there are a lot of different methods for making meringues and Pavlova, but this recipe turned out beautifully and it was delicious! I'm looking forward to making this again for friends when they come over. Because you can make all the bits of it ahead of time and assemble quickly after dinner, this is the perfect Spring dinner party desert option! Tip: You can actually freeze egg whites or keep them in the fridge for a day or two in tupperware, so this recipe is handy to make when you've made something that only uses egg yolks so you don't waste the whites. What a beautiful dessert! That looks wonderful and delicious. Perfect way to use up egg whites and then you have the yolks ready for omelets, etc.